The Harley-Davidson WLC model (the ‘WL’ was the engine type and the ‘C’ was for Canadian) was among the motorcycles driven by Canadian dispatch riders and military police in the Second World War and Korean War. Only a handful of motorcycles went across when the Canadians embarked for Europe, but by war’s end, thousands had been put to good use. 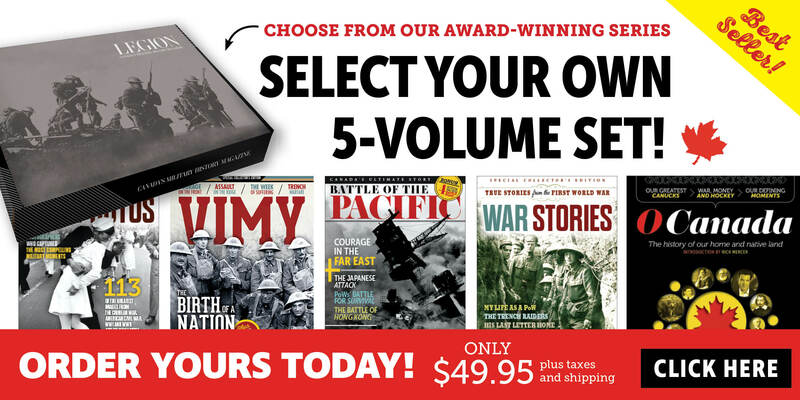 Linemen used them to check telegraph wires, officers as transport, infantry for scouting. Their riders delivered medical supplies and evacuated the wounded. A few had sidecars fitted with guns. But their biggest role was ferrying messages to and from headquarters, to distant units in England, and to battalions and batteries at the front. Dispatch riders (DRs) even delivered carrier pigeons in wicker baskets strapped to their backs. 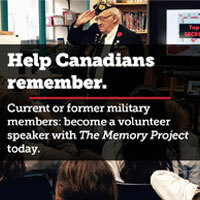 Wherever Canadian troops went, so went motorcycles—even to Vladivostok, on Russia’s Pacific coast. On the Western Front, DRs became adept at adjusting their speed according to intervals between shell bursts. Canadians preferred Hendee Indian motorcycles manufactured in Canada, but used a variety of machines, including the British Triumph, Clyno-Vickers and Douglas. Motorcycles broke down often and required expertise and ingenuity to repair. 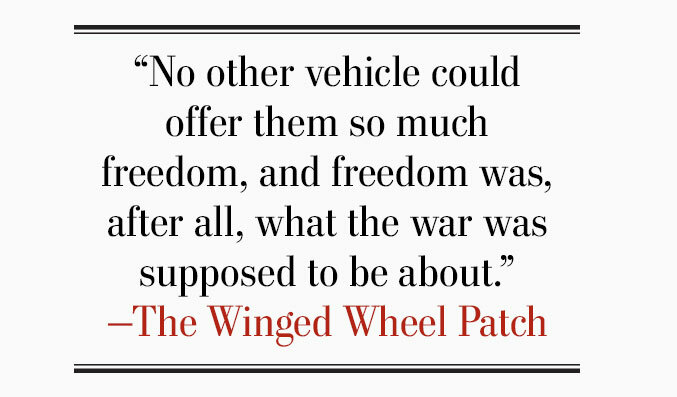 “A motorcycle wouldn’t last two months,” recalled Corporal Bert Bennes in The Winged Wheel Patch. 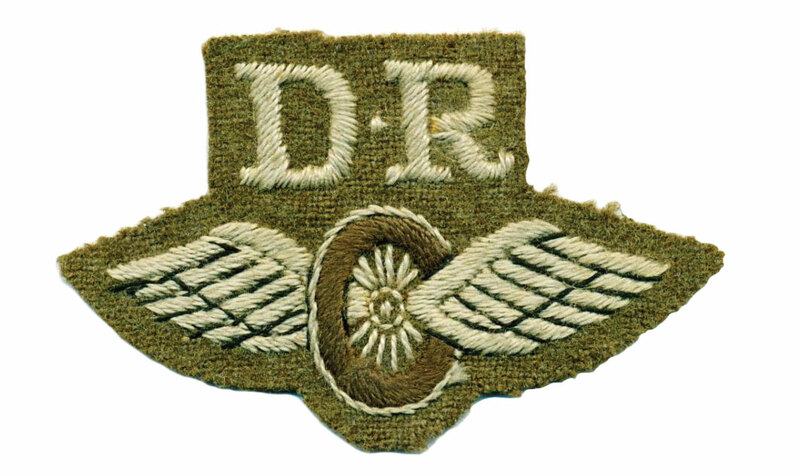 The dispatch rider’s badge was worn on the lower sleeve in the Second World War. In the final 100 days of the war, motorcycles scouted for Canadian shock troops, identifying strongpoints to be taken out by the gun brigade, cavalry and infantry, according to Clive M. Law, author of The Canadian Military Motorcycle. 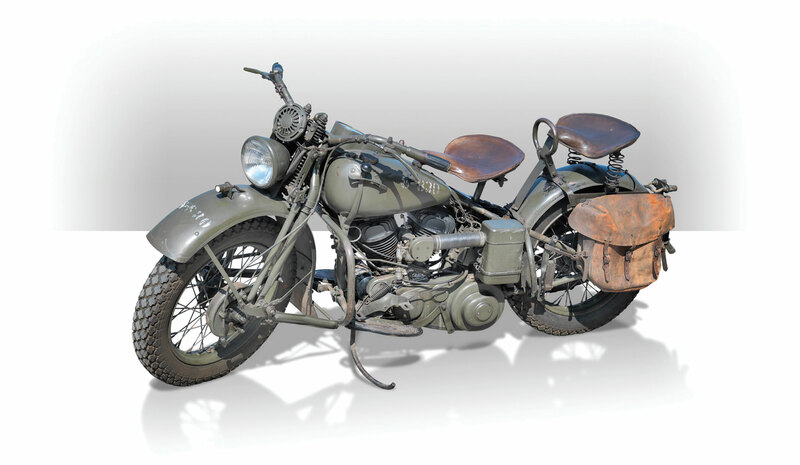 “The first Allied soldier to touch German soil after truce was declared, did so upon a motorcycle,” wrote Max Burns and Ken Messenger in The Winged Wheel Patch. 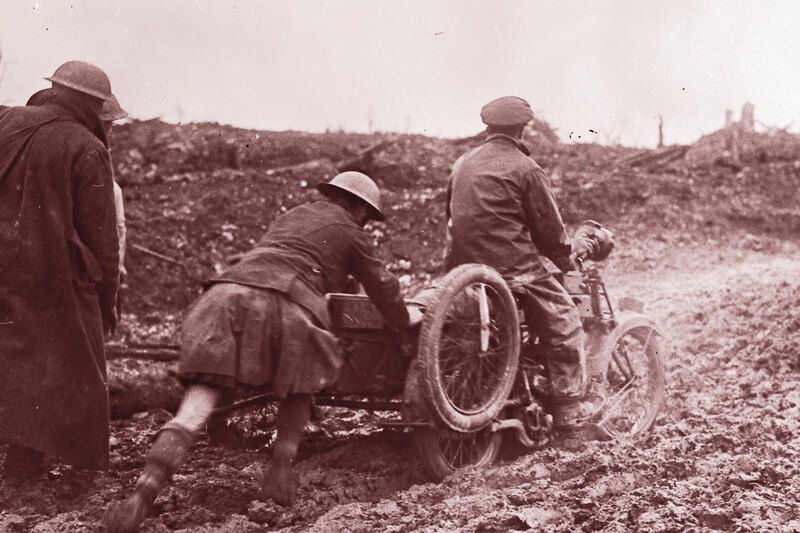 Muddy terrain bogs down a rider from a First World War machine-gun unit, given a helping hand by soldiers of the Canadian Scottish Regiment. The speed, adaptability and sheer power of the motorcycle was invaluable; the Allies produced more than 700,000 of them. “Next to marksmanship, the ability to ride a motorcycle was perhaps the most widely held military qualification,” wrote Law, and courses were offered in safety, map reading, maintenance and repair. Some said only the absence of gunfire made the riding courses safer than combat. Every regiment was assigned motorcycles, and they were used by signal, intelligence and reconnaissance corps, military police and invading troops. They chased down crashing enemy aircraft to capture crew. A dozen were waterproofed and fitted with snorkels for the Dieppe Raid, though none of the DRs got off the beach. 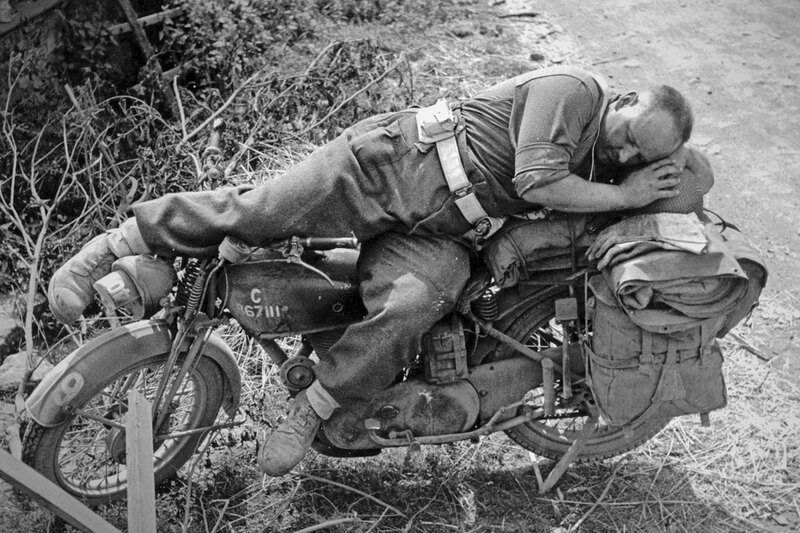 In Falaise, France, in 1944, Lance-Corporal Bill Baggott grabs a couple of winks on his motorcycle, which bears signs of wear from Canadians sitting on the gas tank. Machines included snortin’ Nortons, trusty Triumphs, Indians, Harley-Davidsons, BSAs, Matchless, James and Servi-Cycles, among others, including captured enemy machines. Where trucks were impeded by traffic or weather, doughty motorcycles did their duty. They guided transport through the Falaise Gap, buzzed around after the D-Day landings, slogged through mud and traversed rivers in Italy. The distinctive profile of Canadian DRs—riding upright at high speed, seated on the gas tank (and risking disciplinary action)—earned them a nickname: Crazy Canucks. Dispatch riders had particularly dangerous jobs—delivering information the enemy was eager to seize or destroy. DRs travelled unmarked roads, sometimes under fire or strafing, often in the dark without headlights, which minimized sniper risk, but increased collisions. They escorted convoys, zipping up and down the line and between vehicles.